Gulf of Alaska has two oceans that meet but do not mix 3.9473684210526 out of 5 based on 38 ratings. 38 user reviews. 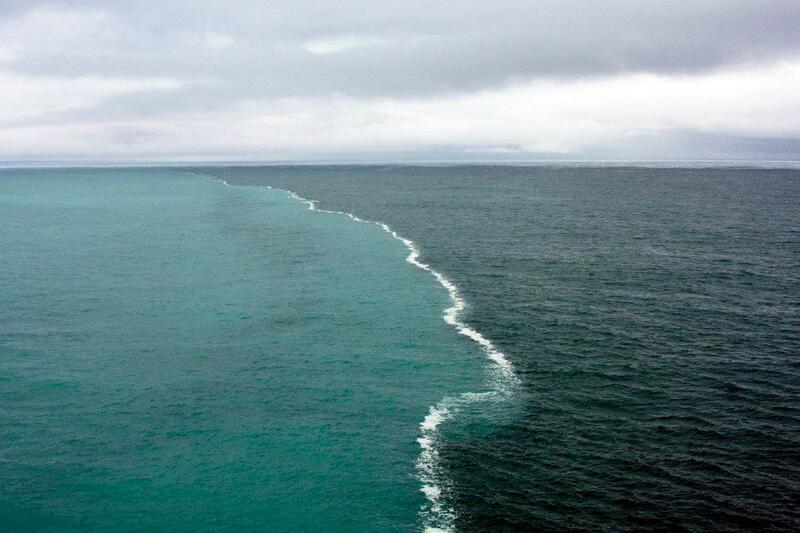 The Gulf of Alaska has two oceans that meet but do not mix. Ridiculous, incredible and simply mind-blowing!!! These two bodies of water were merging in the middle of The Gulf of Alaska and there was a foam developing only at their junction. It is a result of the melting glaciers being composed of fresh water and the ocean has a higher percentage of salt causing the two ocean bodies of water to have different densities and therefore makes it more difficult to mix.